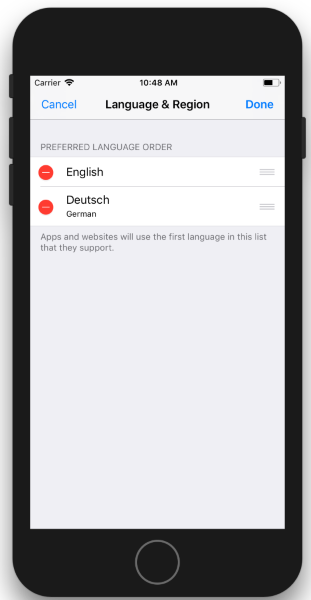 Nowadays everyone who wants to reach global markets with mobile application has to provide localization – support for more than one language. This is why I decided to write this article to help Xamarin developers with implementation of such feature in the app. I am using Xamarin.Platform approach and Mvvm Cross framework. 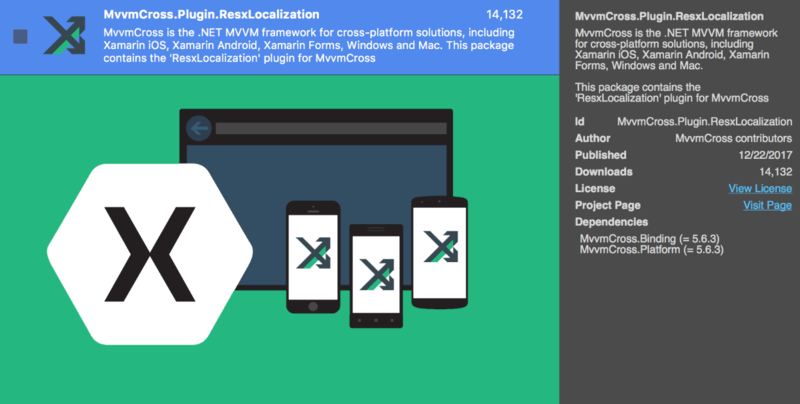 If you already have Xamarin.Platform project with Mvvm Cross installed we can start working on localization support. We will use .resx files to store strings for different languages – in our case English and German. 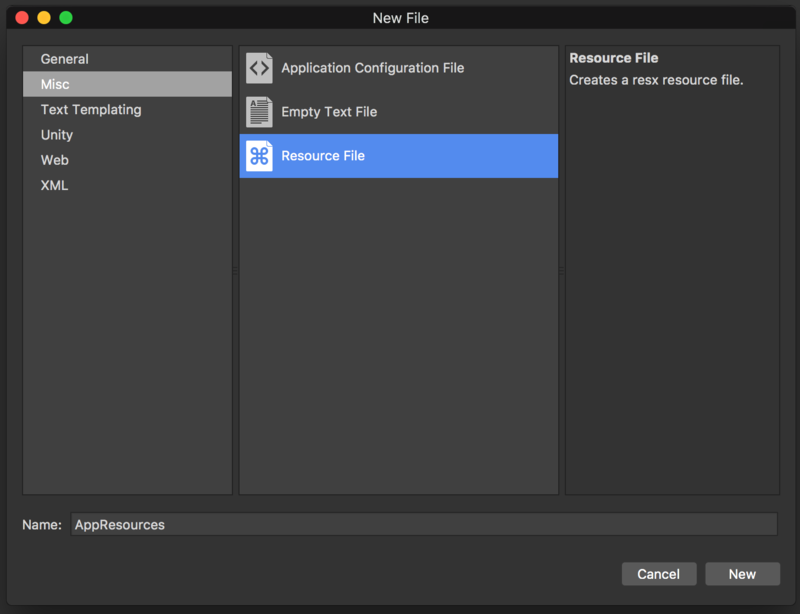 As you can see two files were generated by Visual Studio: “AppResources.resx” and “AppResources.Designer.cs”. Second file contains C# code which enables access to string resources contained in .resx file using ResourceManager. Update nameof first file: “AppResources.de.resx” and remove “AppResources.Designer.cs” file. No worries. This approach enables us to add second .resx file – at the time of writing this post there was a bug in Visual Studio 4 Mac and I was not able to type full name (“AppResources.de”) in wizard’s “Name” field. As you can see we need only one “AppResources.Designer.cs” file. Rest of .resx files (like “AppResources.de.resx”) do not need it because they will be handled by ResourceManager globally. You can read more about this process here. Additionally if you would like provide support for more languages check table of language culture names here. 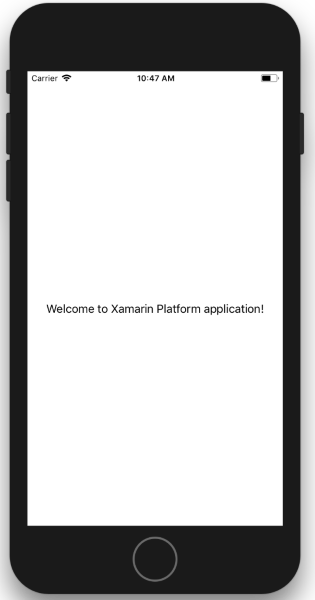 Welcome to Xamarin Platform application! As you can see at the bottom I added new “data” entry. “name” tag is unique name of string resource with following convention: “NameOfViewModelWhereStringResourceIsUsed.StringResourceName”. 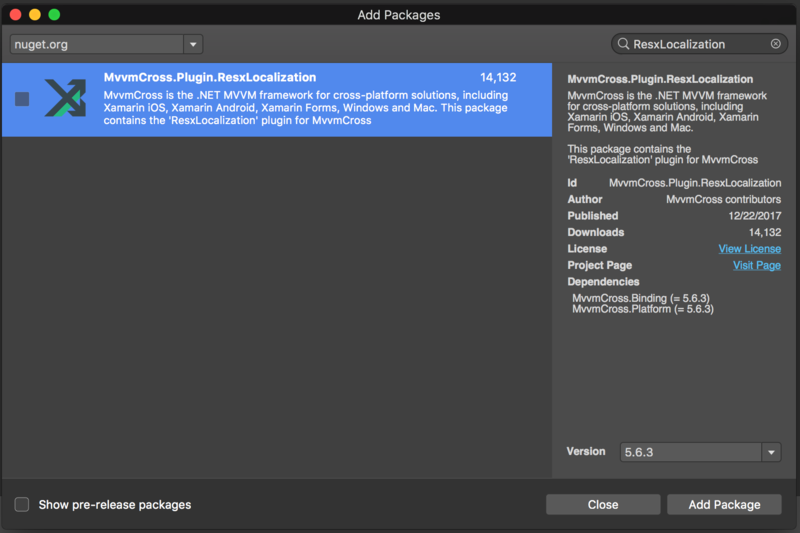 This convention is supported by “MvvmCross.Plugin.ResxLocalization” plugin which we will apply soon. You can see that inside “data” tag I added some text – “Welcome to Xamarin Platform application”. Of course you can add more resources if you wish. 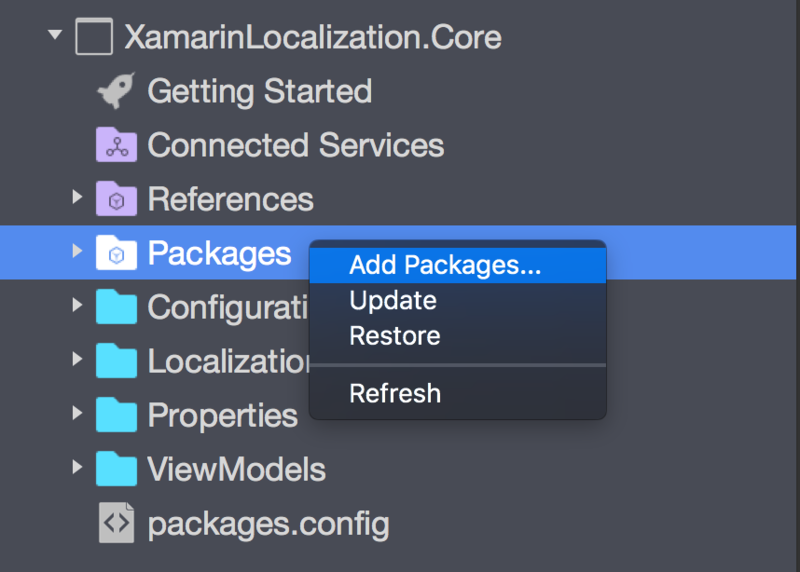 Willkommen bei Xamarin Platform Applikation! As you can see I have string resource called “MainViewModel.WelcomeText” (exactly the same name like in previous file) but text between “data” tag is written in German. Great, .resx files are ready. Please note that we keep them in .Core project which is shared between applications so I do not have to duplicate anything per project. Now we can use great plugin provided by Mvvm Cross called ResxLocalization. If you want to read more about it click here. Now open class which derives from “MvxApplication” – in my case this is “AppSetup.cs” file located in “Configuration/ApplicationSetup” folder. We need to register “MvxResxTextProvider” in IoC container with our string resources manager (as you can see I passed “AppResources.ResourceManager”) to have access to all localized strings. As you can see I am creating binding set for “_welcomeTextLabel” control and “ViewModel.TextSource” property with conversion where I passed name of string resource: “WelcomeText”. It means that my label will display welcome text from .resx file depending on the mobile device language preferences. For Xamarin.Android we can handle localization in .axml designer files. In my case this is “main_activity.axml” file. As you can see I am using “MvxLang” tag provided by Mvvm Cross. With this tag I can type which string resource should be displayed in TextView – in this case “WelcomeText” from .resx file. That’s it! 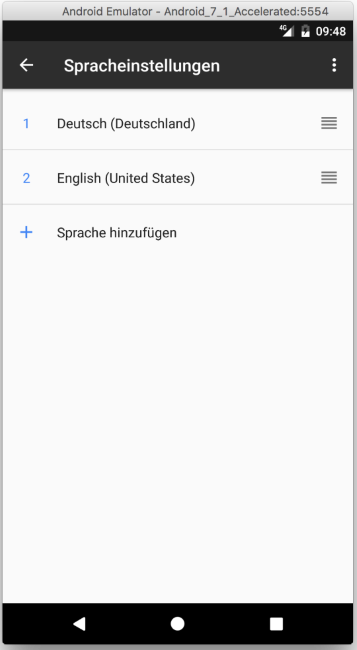 Now if you change language on your device it will be applied in your application too. Localization with Mvvm Cross is not so complicated as you can think (of course with clear information and instructions). 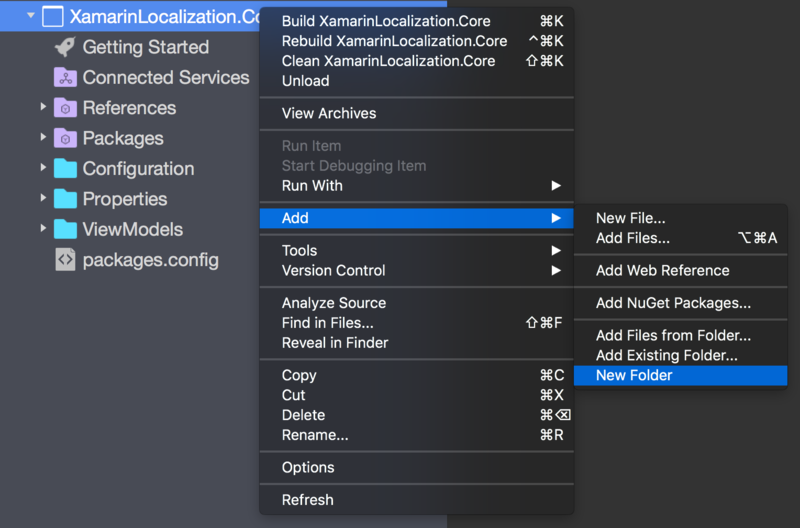 Now you now how to provide support for localization in your Xamarin.iOS and Xamarin.Android applications. I strongly recommend to visit my GitHub page where you can find ready-to-go sample described in this article. It is available here.